The population of Bergen Point prior to 1845 consisted of some 3,000 citizens, mostly Dutch farmers. An important event, however, was coming into focus over 3500 miles away. This was the failure of the potato crop in Ireland that would significantly change the way of life of thousands of Irish Catholics whose livelihood depended on the humble potato, the mainstay of the Irish diet. True, many of the sons and daughters of Erin had already taken part in the colonizing of America, yet the arrival in those famine years of over a million of the dispossessed Irish from their native land was unprecedented in American history. While others of these uprooted people found new homes on Europe, Australia, Canada and the islands of the West Indies, some arrived at Bergen Point. Most of the exact facts concerning this small, brave pioneering group, our spiritual ancestors, are lost to the passage of time. We, the heirs, of this intrepid group, are indebted to these sturdy wanderers, who not only were persecuted by absentee English landlords in their homeland, but encountered religious oppression in their new home. New Jersey, in the middle of the last century, was no haven of tolerance for sons and daughters of the Gael. Although national groups from all parts of Europe can be found represented on the passenger list of the ships of that day bound for America, a quick glance at the early U.S. census shows that the main body of settlers who compromised the parish that would be called St. Mary Star of the Sea, was of Hibernian stock. In the early days of Bergen Point the religious needs of the Irish Catholics were taken care of by missionaries, for at that time the status of this Catholic community was one of a mission rather than a parish. Priests from St. Peter's Church in Jersey City as well as St. Peter's Church in Staten Island came to offer Mass for those early Catholics of Bergen Point. The first known Mass was celebrated about 1857 by Fr. Kelly in the home of John Walsh on Lord Avenue. 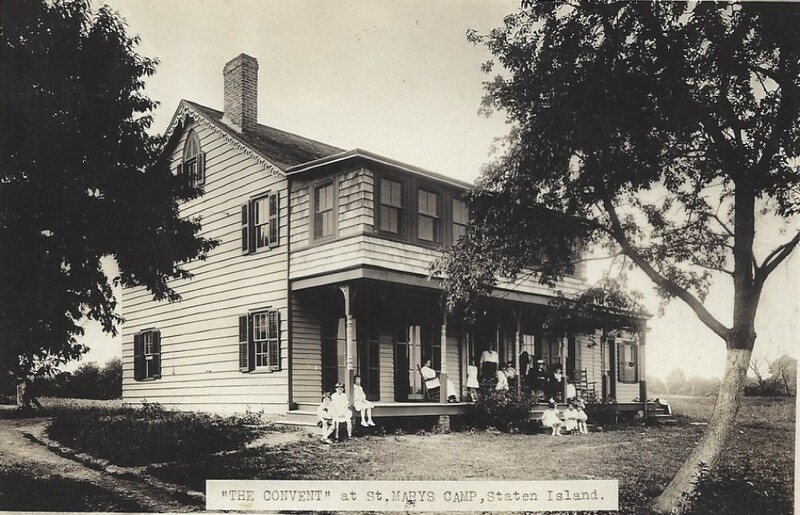 Many of the early settlers performed their religious duties by crossing the Kills in private rowboats to St. Peter's in Staten Island. Others probably took the Red Jacket steamer or the Chancellor steamer, each of which stopped at Bergen Point on its way to New York. There the Bergen Point Catholics worshipped at St. Peter’s Church on Barclay Street, the first Catholic church erected in Manhattan. This period came to a close in 1860 when Fr. 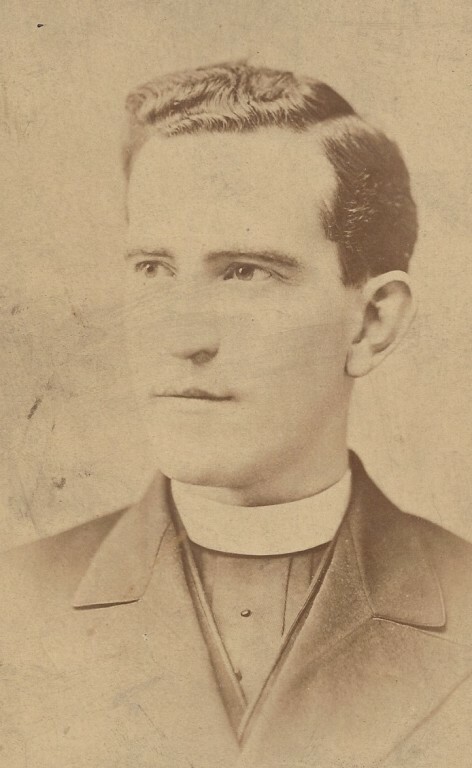 Callan was assigned as the first pastor for the Catholics of Bergen Point. Into Fr. 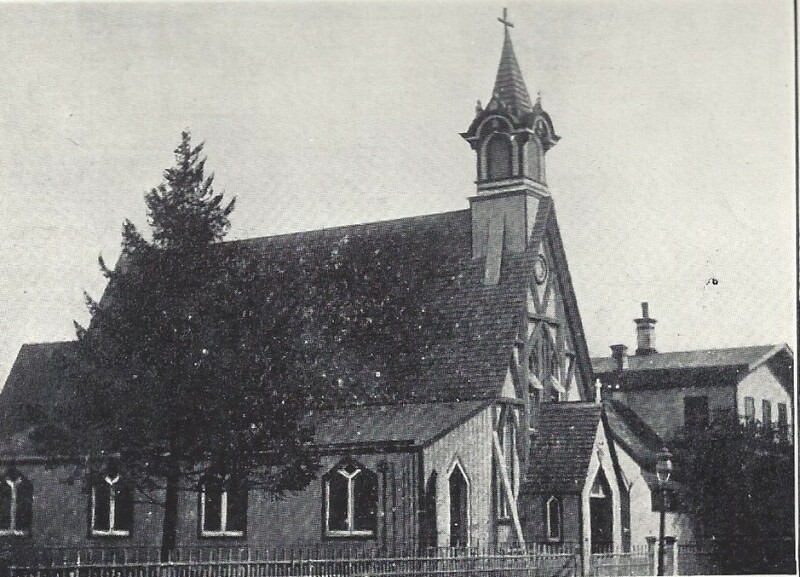 Callan's capable hands was entrusted the duty of erecting the first small, humble church, located on Evergreen Street and named St. Mary Star of the Sea. On September 9, 1860. The first Mass was said and the church was blessed by Bishop Bayley, a cousin in the family of Franklin Delano Roosevelt. Unfortunately, Fr. Callan's tenure turned out to be a brief one. The newly founded parish was then placed in the charge of the Passionist Fathers of Union City. This period for Our Lady Star of the Sea ended when Fr. 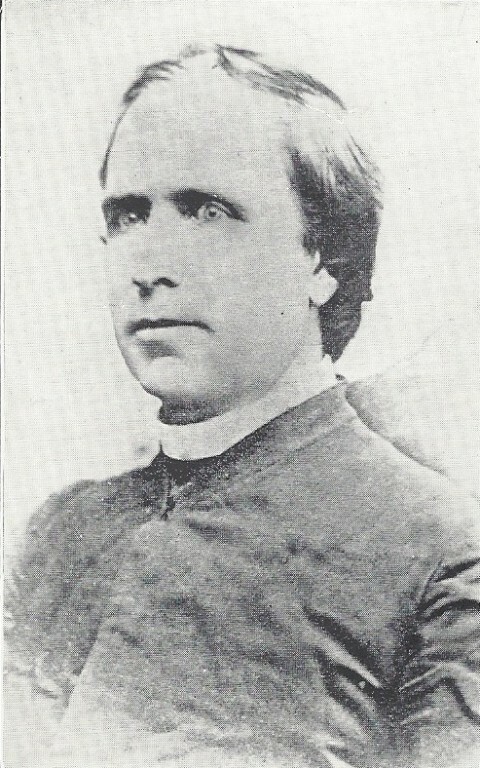 Niederhauser was appointed rector and the church was incorporated on July 17, 1865. Fr. Niederhauser served six years and was succeeded by Fr. Patrick McGovern, who served five years. The next Pastor, Fr. James Dalton, died after serving only a few weeks. Bishop Corrigan of Newark then sent as Pastor a priest who had already proved himself not only as a religious, but was considered among the great American Catholic church builders of that period. This was the Rev. Thomas Killeen who personified many of the early American Catholic leaders of that day. He immediately set about to transform his church into a center of activity for his parishioners. Newspaper accounts of the highlights of parish life reveal a variety of activity, religious, social and cultural. The highpoint was a lecture series wherein Fanny Stewart Parnell, sister of Charles Parnell, the uncrowned King of Ireland, delighted the Irish audience. Fr. Killeen recognized that the growth, stability, Catholic spirit and future of the parish lay in the provisions made for its upcoming generation. His vision of the needs of an educated Catholic laity resulted in the establishment of the first Catholic school, which was located in Brady's Hall. He appealed to the Sisters of St. Joseph in Philadelphia and his appeal was answered by four Sisters. 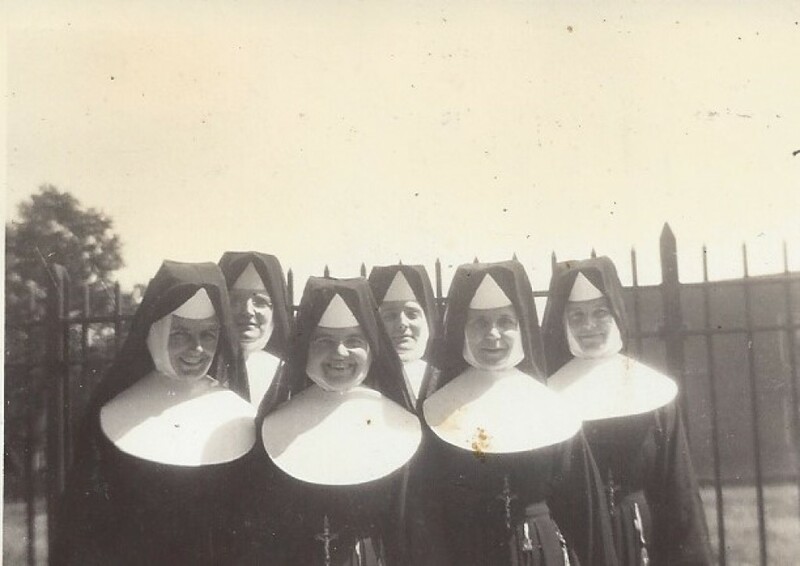 Since that time the Sisters have served this Jersey community so well that "Sisters of St. Joseph" is almost synonymous with "City of Bayonne". Fr. Killeen knew that the small church and makeshift school could not adequately serve the growing needs of his parish. In 1880 he purchased the property on 14th Street upon which the present St. Mary Star of the Sea now stands. His plans called for a brick structure 150 feet by 65 feet with a commodius basement. The church was designed by a distinguished architect, I. L. O'Connor, of New York. The cornerstone was brought from the Church of St. Clement in Rome and laid on March 22, 1880. The occasion of the laying of the cornerstone was a gala day for the members of the parish. Delegations came from the surrounding cities led by their bands and various religious societies. Bergen Point groups were led by contingents of the Irish Riflemen, which included Civil War Veterans and young postwar independent volunteers, headed by Mayor Thomas Brady and the city fathers. Grandstands were erected across the street on the west side to accommodate spectators. A sermon was preached by the Right Reverend Bishop Lynch of Charleston, South Carolina. The church was blessed by Archbishop Corrigan of New York on November 4, 1881. The large turnout of public officials, local citizens, Catholic and Protestant alike, testified to their deep appreciation of the zeal and energy of Fr. Killeen. His next project was to construct a rectory opposite the church and the building of a new school and convent on 14th Street. With the arrival of more Catholics between 1880 and 1890, Fr. Killeen saw the need for a midtown church in Bayonne, so a small church was erected on 30th Street in 1891. The church, St. Thomas' was later incorporated with the larger St. Henry's. It marked the first division of St. Mary's parish when the boundary between St. Mary's and St. Henry's parish was fixed at 22nd Street. After twenty years of exceptional service, Fr. 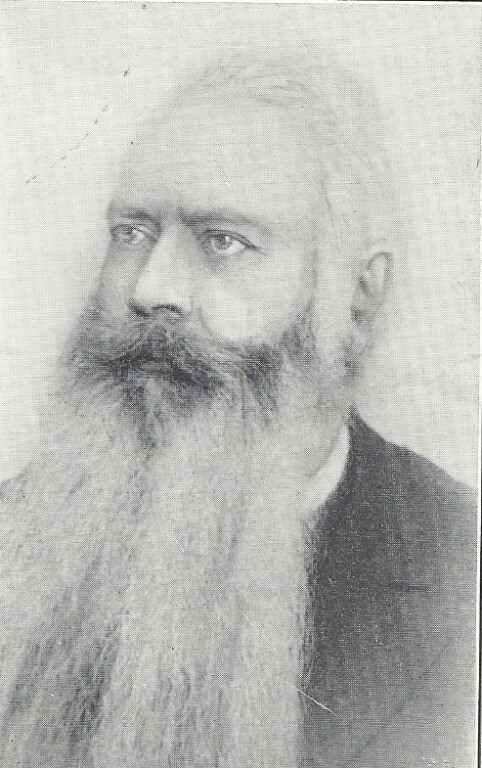 Killeen , a builder par excellence, a spiritual leader of substance, a labor leader (for the coal docks) when the term was unknown, resigned his Pastorate in 1896 and died in Jersey City on July 30, 1907. He was waked in St. Mary's, the church he had built, and interred in old St. Peter's cemetery in Jersey City. It can be said of the Rev. Thomas Killeen as was said of St. Thomas Moore, certainly he was a "Man for All Seasons." Monsignor Isaac P. Whelan was called upon to carry on the work started by Fr. Killeen. Wonderful work was accomplished during his nine years as pastor. 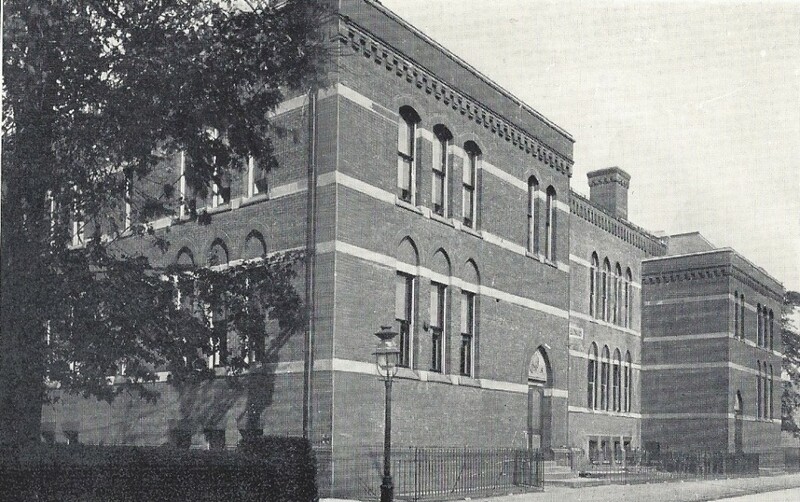 A new school was built in 13th Street to accommodate the continually growing needs of the parish. A new rectory was erected adjacent to the new church to serve as a residence for the Priests w ho were needed to carry on the work of the parish. Monsignor Whelan's tenure as Pastor saw a spreading of the direction the church and the community were taking. Instead of one parish, there were, by the year 1900, six parishes, with resident priests laboring among the faithful of various nationalities: Irish, German, Italian, Polish, Greek and Slovak, who shared their church with the Hungarians. His Pastorate ended when he was appointed Rector of St. Patrick's Pro Cathedral in Newark. Some of us may recall the Pastors of those years as they arrived and departed. Born in the tradition of his predecessors, trained by Fr. Killeen in the old St. Mary's Church on Evergreen Street, Rev. 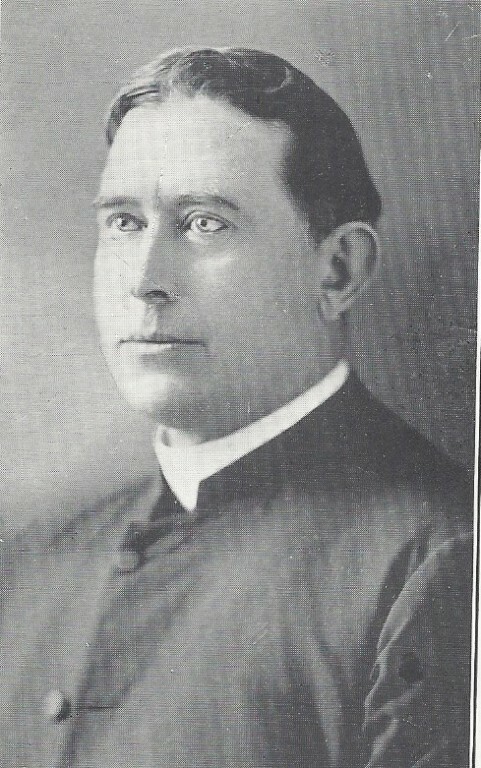 Andrew Egan came in 1905 to spend his remaining priestly life with the people in the new St. Mary's. A genial, gentle priest, an aristocrat in the very best sense of the term, he walked among us with his bowler hat, clerical frock coat and silver-headed cane, accompanied by his dog. In less than three years the church was free of debt. 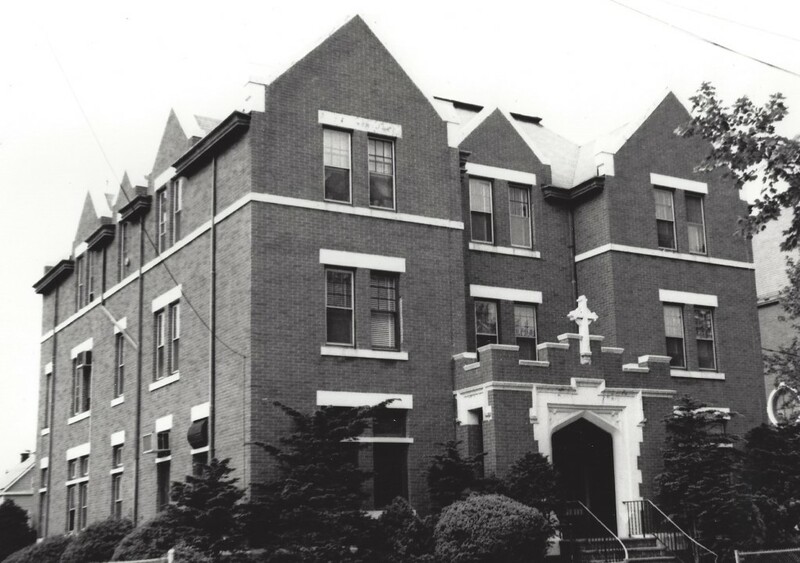 His was the joy of witnessing the church's consecration in 1909; as well as the satisfaction of erecting a beautiful convent for the Sisters of St. Joseph. What had once been Bergen Point, Centerville, Saltersville, Constable Hook and Pamrapo was now the industrial peninsula called Bayonne. Several oil refining industries had discovered the economic value of the land that jutted into the New York Bay as well as the value of the small waterway called the Kill Van Kull that linked New York with West Jersey. 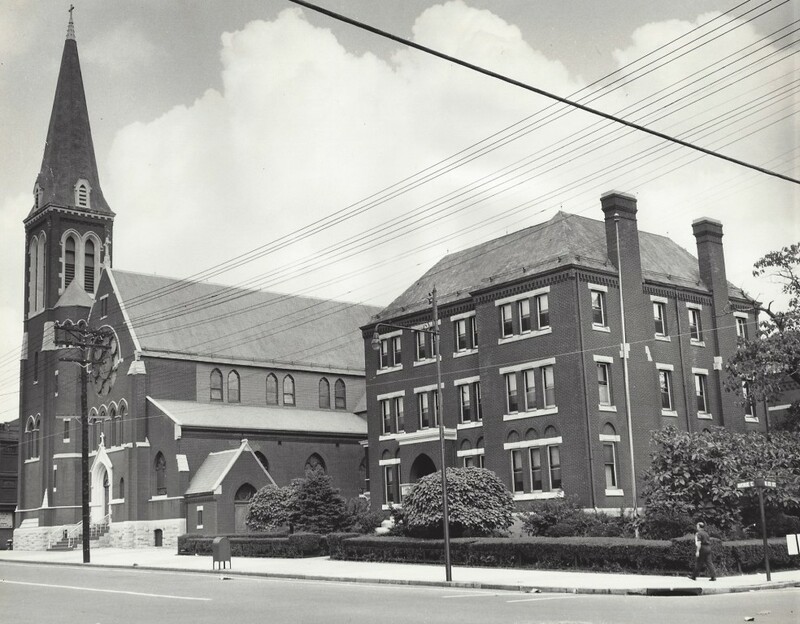 In 1913, ground was broken for what would become the youngest daughter parish of St. Mary's at Broadway and 4th Street to be known ·as St. Andrew 's Chapel. This building housed a beautiful chapel and four classrooms staffed by the Sisters of St. Joseph. A great event of Fr. 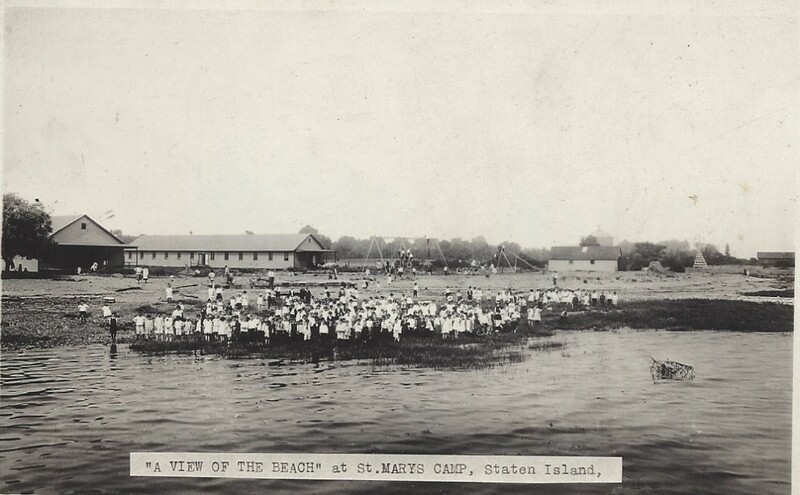 Egan's priestly career was the opening, in 1919 of St. Mary's Camp on Staten Island where hundreds of Catholic children from Bayonne and nearby cities had their first taste of camp life and the opportunity to leave the confines of the city in the heat of summer to enjoy the then rural atmosphere of Staten Island. 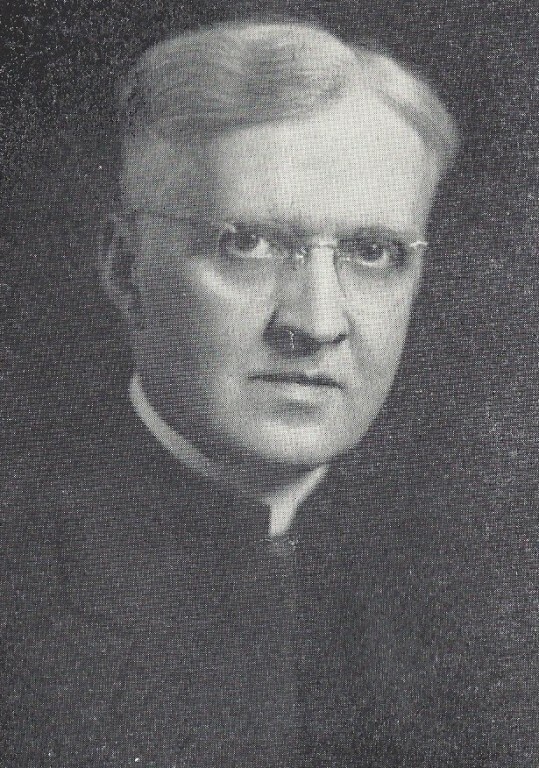 In 1921, Fr. 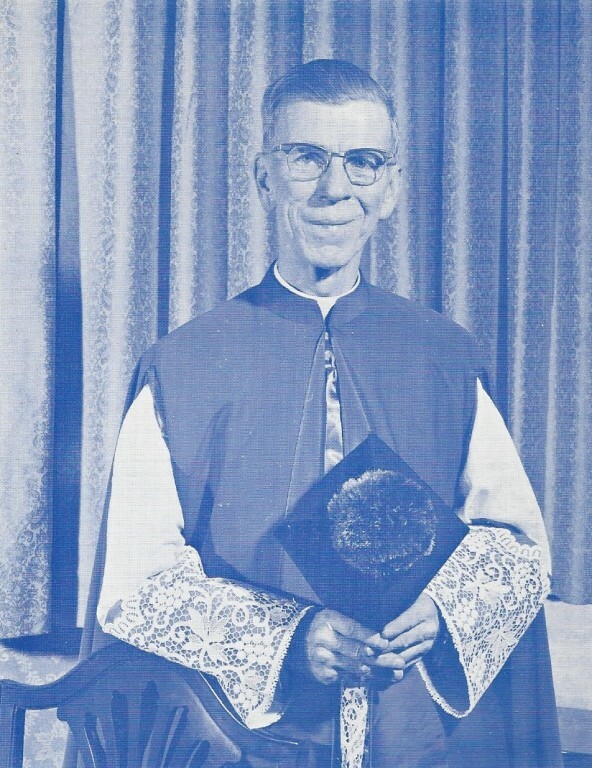 Egan was invested in the robes of a Domestic Prelate, and his people proudly called him Monsignor; but to all who knew him, he would always be "Fr. Egan." Msgr. Egan died on November 17, 1928. His parishioners kept a vigil that night on the sidewalks adjacent to the rectory. Upon news of his death, the church bell was tolled once for each year of his life. Once again, the Bishop of Newark, Thomas J. Walsh, selected an outstanding cleric to head one of the oldest churches in his diocese. 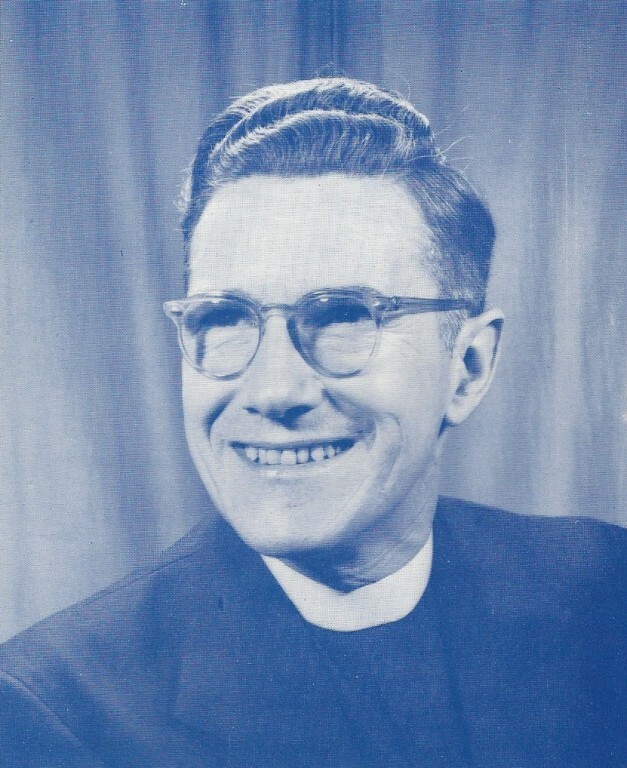 In 1929, Bishop Thomas Walsh announced that the Very Reverend William Lawlor would be the new Pastor of St. Mary's. Fr. Lawlor was to have the longest Pastorate in the history of St. Mary's. For almost thirty years he guided the parish including the trying years of the great depression. He saw many of his parishioners serve their country during World War II, just as those who had gone before him had bade farewell to those who served the nation in the Civil War, the Spanish-American War and World War I. As an educator, he was known nationally. He served longer than any other as Catholic School Superintendent. He oversaw, during his tenure, the education of hundreds of thousands of school children. Apart from his duties as an educator, he found time to write a geography of New Jersey and a three-volume work on poetry. Like the excellent priest he succeeded, he too saw his work recognized by Rome .and himself raised to the dignity of Monsignor. Later a greater honor was accorded him when the Pope made him a Protonotary Apostolic, the first to hold this honor in Bayonne. Our Lady's Chapel, which had been built in St. Mary's Church, is an everlasting monument to his devotion, not only to the Mother of God, but to the parish he served so well. Death came suddenly to the prelate while attending a banquet after the first Mass offered by one of the many young men from St. Mary's who entered the priesthood, Fr. Victor Hoagland, C.P. When Rev. 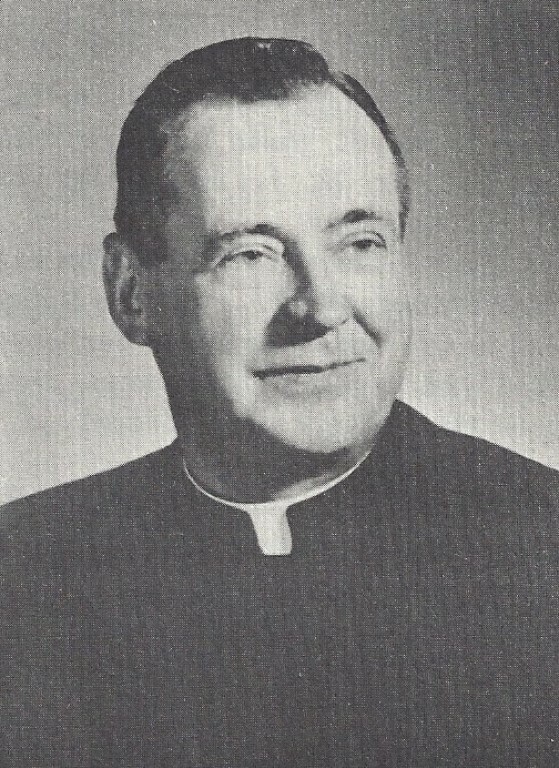 William G. Lavery succeeded Monsignor Lawlor as Pastor of Our Lady Star if the Sea Church in 1959, he came to this parish as a virtual stranger. His totally unexpected death two years later saw him mourned as a gentle and loving priest who was warmly beloved by all his parishioners. One quality above many others that endeared him so quickly to his people was his love for the little children. It was this love that prompted him to plan for a new school building. Fr. Lavery was so certain of the generosity of his parishioners, that he did not mount a major fundraising campaign as is common with such projects. He was able to use funds that had been saved by Monsignor Lawlor and in addition he asked all the members of the parish to contribute generously in a second collection to be taken each week. Every day, Fr. Lavery inspected the progress of the school's construction and was delighted when he saw that its completion was near at hand. However, like Moses, who saw the Promised Land, but did not live long enough to enjoy it, Fr. Lavery died on August 20, 1961, a short time before the new school was ready to be occupied by “the Little Children” he loved so dearly. While Fr. Lavery may have been a stranger on his arrival at Our Lady Star of the Sea, his successor was never a stranger to this parish at any time in his life. Msgr. Leo J. Martin was born and raised on East 15th Street, just a block away from the parish church to which he was appointed Pastor in 1961. 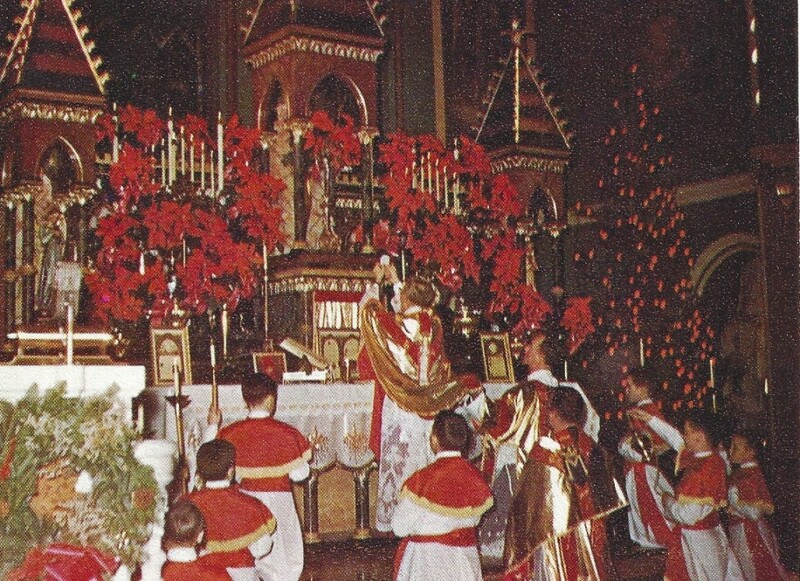 During his lifetime, he was present at nearly all the major celebrations, both joyful and sorrowful, in his home parish. After his ordination to the priesthood in 1931, he was not only present on those occasions, he frequently preached the homily as well. It was his ability and willingness to preach the Word of God that made Msgr. Martin's name well known beyond the borders of Star of the Sea Parish and Bayonne. Though short of stature and suffering from poor health most of his life, he had a deeply rooted love for the Gospel that gave herculean strength to his voice. He had such a resounding manner of speech and the genius of keeping the undivided attention of his listeners, that he seldom needed a microphone. However, it was more than a booming voice that amplified Msgr. Martin's message. Family after family all over Bayonne called him whenever there was good news to be celebrated or grief to be comforted. They knew he would be with them and they were never disappointed. Msgr. Martin had barely enough time to settle into his new pastorate, when a few weeks later he was proud to be in the midst of the celebration of the closing of the centennial year of Our Lady Star of the Sea Parish on October 15, 1961. On that day the late Archbishop Thomas A Boland, then the Archbishop of Newark, celebrated a Solemn Mass, with Msgr. Martin giving the homily. The highlight of that glorious day was the formal dedication of the new parish school. 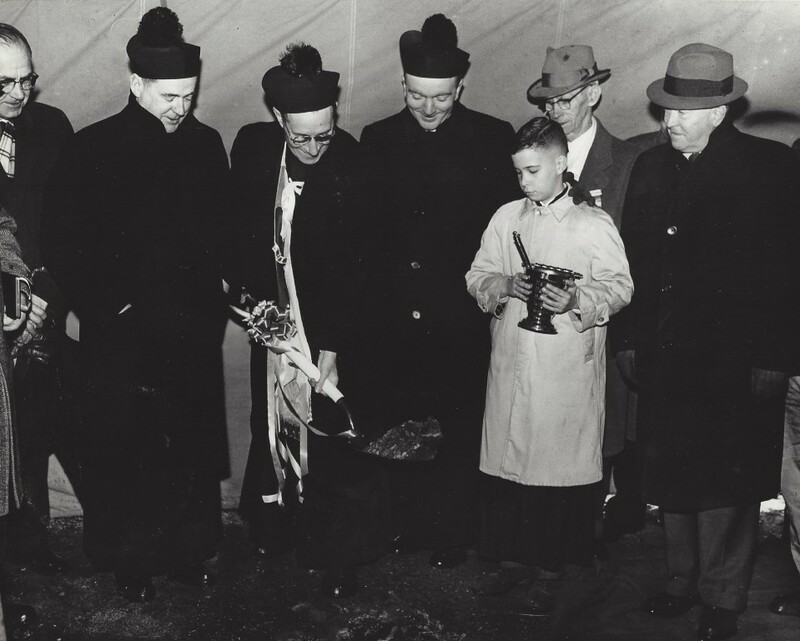 Archbishop Boland laid the cornerstone and solemnly blessed the new edifice that had been started by the late Fr. Lavery. As a tribute to his close friend and predecessor, Msgr. Martin named the auditorium in his honor. During most of Msgr. Martin's pastorate at Star of the Sea, the universal Church was engaged in the preparations and sessions for the Second Vatican Council in Rome (1962 - 1965). At first, the effects of this Council were slow in reaching the average Catholic, but looking back from the vantage point of twenty years after the formal closing of the Council in 1965, a pattern can be seen clearly even in its early days. That pattern was a greater involvement of more people in the work of the Church and it had its effect in every parish in the world. The first changes may have seemed more cosmetic than real, such as introducing native languages into the liturgy and having the laity read the scriptures at Sunday Masses. However, the course was set and there was no turning back. Msgr. Martin read carefully the documents of Vatican II as they were published and the instructions of Archbishop Boland on the proper way to implement those decisions on the local level. He dutifully instructed the people on the need for putting into effect at Star of the Sea Parish whatever was recommended in this area. On his first Sunday as Pastor of Star of the Sea, Monsignor Martin spoke at all the Masses and told his people he had "come home to die". This was literally true and even though he was not physically strong, he continually gave of himself and his time to anyone w ho needed him. He never counted the cost to his own well-being and his health deteriorated considerably. Msgr. 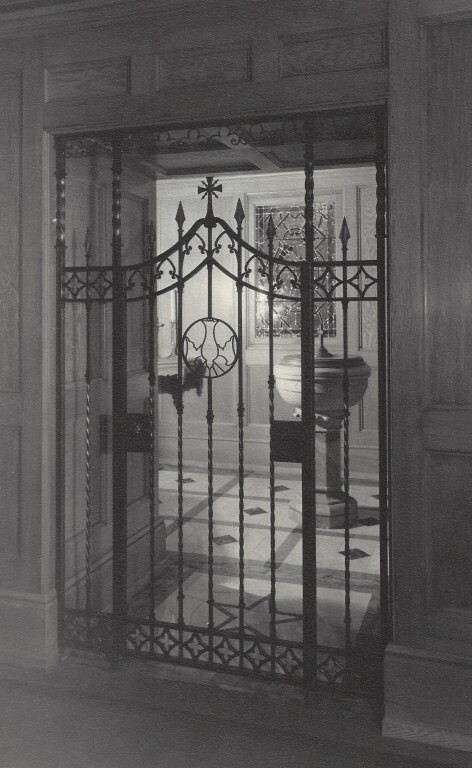 Martin died on August 10, 1965 in his room at the rectory. His funeral attracted such large crowds of people and dignitaries from far and wide that an overflow congregation filled the lower church where they watched on closed circuit television the Funeral Mass being celebrated upstairs by Archbishop Boland. Msgr. Martin was buried in front of the Shrine of Our Lady of Lourdes between the church and the convent. Three weeks after Msgr. Martin's death, Archbishop Boland appointed Rev. Richard Wall to succeed him as Pastor of Star of the Sea church. Fr. Wall was no stranger either. For 22 years, he was an Associate Pastor here serving with Msgr. Lawlor and Fr. Lavery. 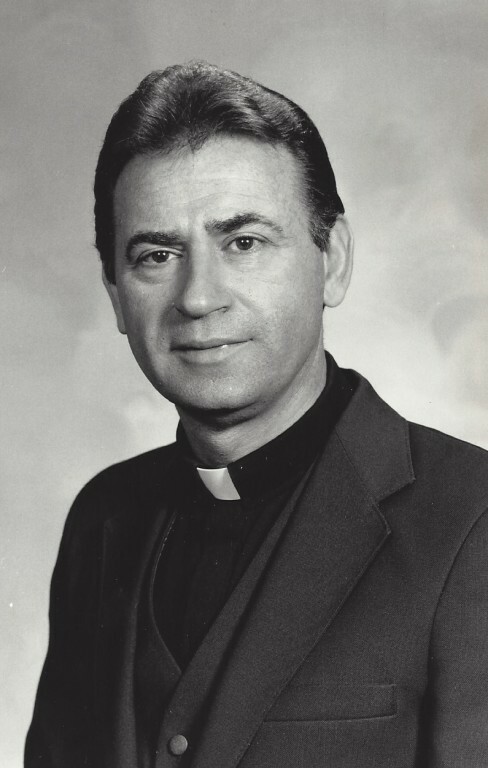 He left in 1961 to become Pastor of the new parish of St. Raphael in Livingston, and shortly after became Pastor of St. Joseph's Church in Newark. Fr. Wall continued the process of implementing the decrees of the Second Vatican Council. During his 14 years as Pastor the pace of that implementation picked up rapidly, not only in Star of the Sea Parish, but all over the world. Lectors were now added top the weekday Masses and temporary altars were placed in the upper and lower churches allowing Mass to be celebrated facing the people. Within a few years, Fr. Wall established a parish council, giving members of the parish an official forum to present to the Pastor their advice and suggestions on how to better serve the needs of all the parishioners. One aspect of this service was the program for exceptional children inaugurated by Fr. Wall in 1974. Fr. Wall saw the need for special education for handicapped children. To get the program started, he asked for and received financial assistance from the local chapter of the Order of Alhambra (Knights of Columbus.) Under the aegis of Fr. William C. Hatcher, this special educational program began with seven children and has served many children through the years. The Catholic Church, and indeed the whole world, suffered through the turmoil and uncertainties of the late 1960's and early 1970's, affecting almost every phase of human life. Fr. Wall led the Star of the Sea parish through those trying years with form leadership and his easy, open approach to all situations. Failing health caused Fr. Wall to retire in 1979. On January 29, 1983, he died in Summit, New Jersey, the town where he was born and raised. Rev. Michael J. Fitzpatrick, Superintendent of Schools in the Archdiocese of Newark, was named to succeed Fr. Wall in June of 1979, by Archbishop Peter L. Gerety. A month later Pope John Paul II appointed him a Private Chaplain to his Holiness with the title of Monsignor. Msgr. Fitzpatrick immediately plunged into the work of his new parish. Within a short time he managed to make himself known to most of his parishioners, day after day, he walked up and down the streets of his parish greeting and talking with all he met. One of the highlights of Msgr. Fitzpatrick's tenure as Pastor was the celebration of the 100th Anniversary of the dedication of Star of the Sea Church. 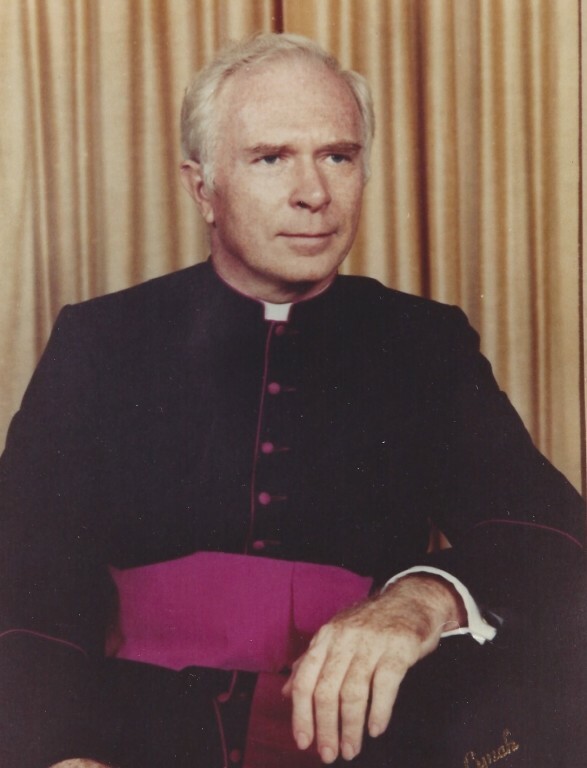 On May 18, 1980, Archbishop Gerety was the principal celebrant of a concelebrated Mass in the anniversary church, a Mass concelebrated by many native sons and other priests associated with its history. Fr. 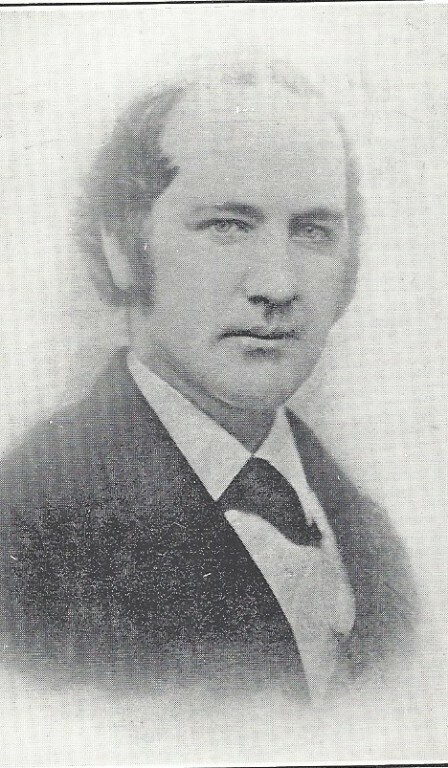 Flavian O'Donnell, C.P. 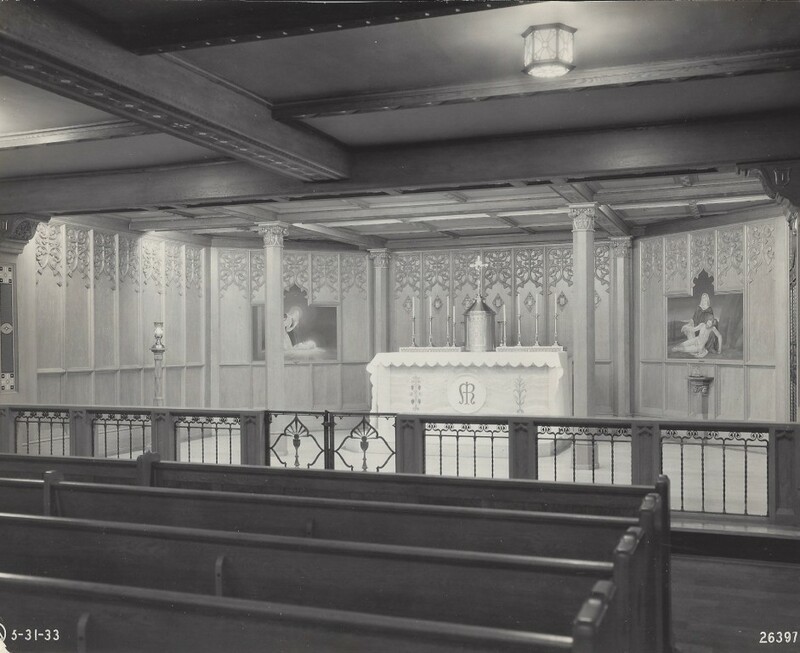 was the homilist, a native son who celebrated his first Mass here in 1931, and whose Funeral Mass took place in the same church before 1980 was over. Much to the sorrow of the parishioners, illness forced a sharp curtailment of Msgr. Fitzpatrick's pastoral activities. This in no way dampened his buoyant spirits and his mere presence lifted the hearts of many who were in need of consolation. Since he was no longer physically able to give himself totally to the service of his parishioners, Msgr. Fitzpatrick resigned as Pastor in 1982. Rev. Thomas J. Petrillo was appointed by Archbishop Gerety to succeed Msgr. Fitzpatrick in 1982. Almost as soon as he arrived at Star of the Sea, Fr. Petrillo was engrossed in a project that involved a major renovation of Star of the Sea Church. This venerable building had seen many facelifts in her over one hundred years of existence, but it was time to be updated in accord with the liturgical directives of Vatican II. The beauty and antiquity of the old church was blended with the warmth and participation of the people in the new church. The new altar, pulpit and Eucharistic chapel are composed of marble which was taken from the old main altar. The altar rail was removed so that the people could feel closer to the celebration of the liturgy. 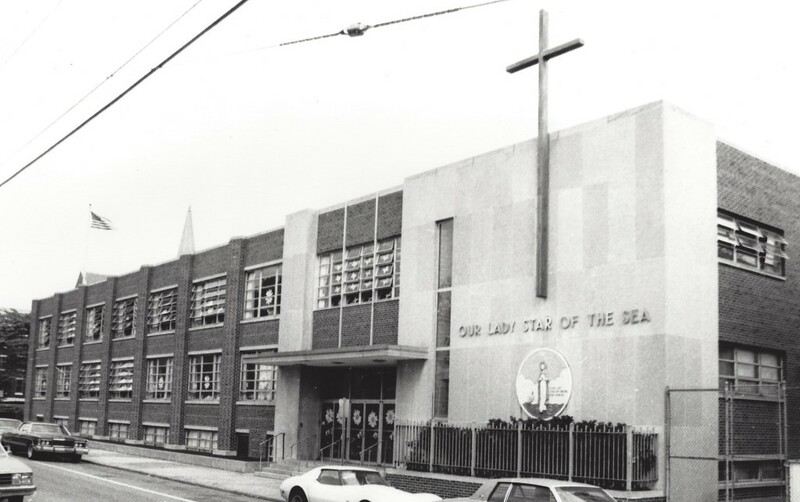 On October 30, 1982, Bishop Jerome A. Pechillo, T.O.R., the vicar for Hudson County, was the principal celebrant of the Mass for the solemn rededication of Our Lady Star of the Sea Church. The lovely “Lady Chapel” beneath the imposing main church was renovated. It was liturgically corrected, again with a sensitive reverence for the beauty of its past, and air conditioned so that it could be employed for summer services. Because of the press created by aging structures, a drive was launched which successfully netted enough to repair the church windows, and to do some work on the Convent and Rectory and the safeguarding and standardization of the school. The church grounds were repaved and the shrubbery and lawns manicured to enhance the beauty of the property. 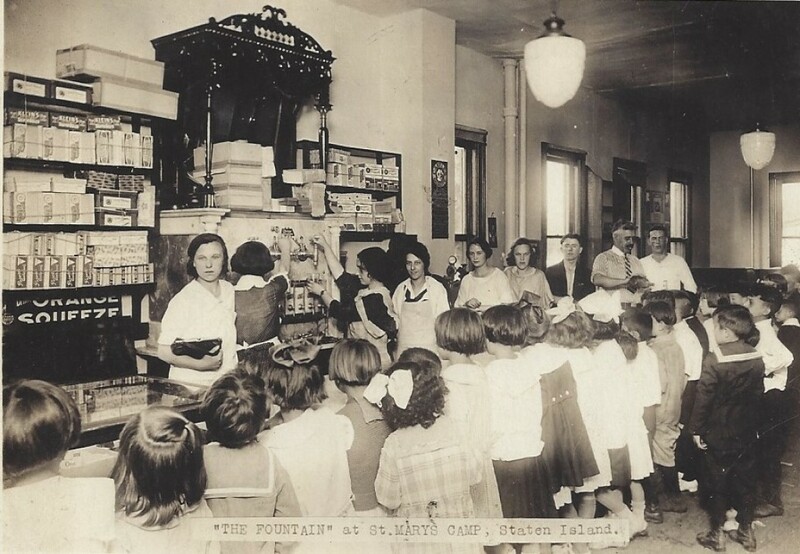 From the small group of Irish Catholics who started this parish in 1860 in the face of the threatening Civil War that soon engulfed our nation, up to the present time a strong devotion to its Patroness has enabled Star of the Sea Parish to weather many a storm and enjoy many blessings of the Lord.